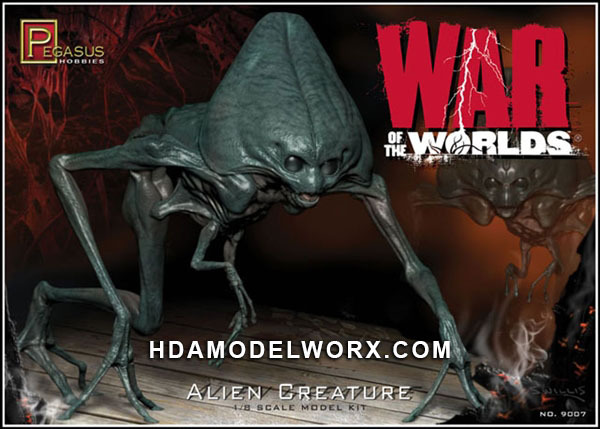 Straight from the 2005 blockbuster movie "War of the Worlds" come the incredible alien creature model kit. From its unique three limbs and creepy walk, to its refractive eyes and long fingers, it's striking design invokes feelings of fear and fascination. Created from the original 3D computer model used in the movie! 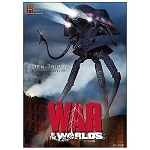 Kit includes (1) Alien creature in 15 pieces with alternate neck for posing options and a base. Paint and glue not included. Kit designed by Scott Willis.